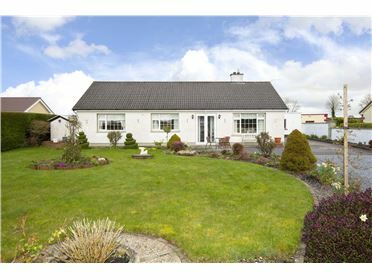 A 3 bed bungalow situated on a quiet walker's country lane is being offered to the market. Block built in 1981, this well-maintained family property offers space both inside and out. The open plan kitchen/living/dining room with Stanley solid fuel range cooker is the hub of the house with a window that overlooks the immaculate rear yard and lawns. 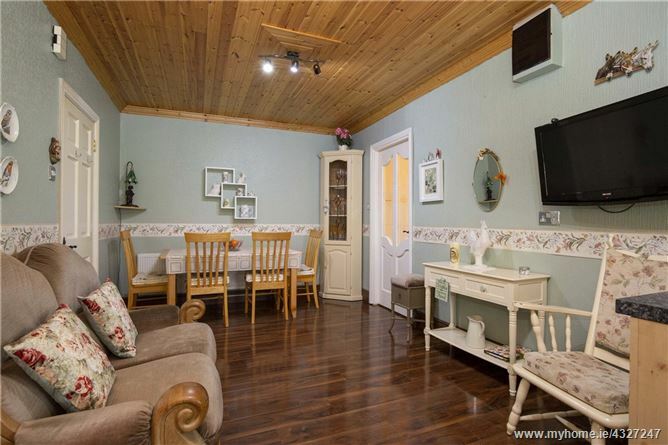 The accommodation offers entrance porch, entrance hall, sitting room, open-plan kitchen/living/dining, utility room, guest toilet, rear porch, three bedrooms and family bathroom. 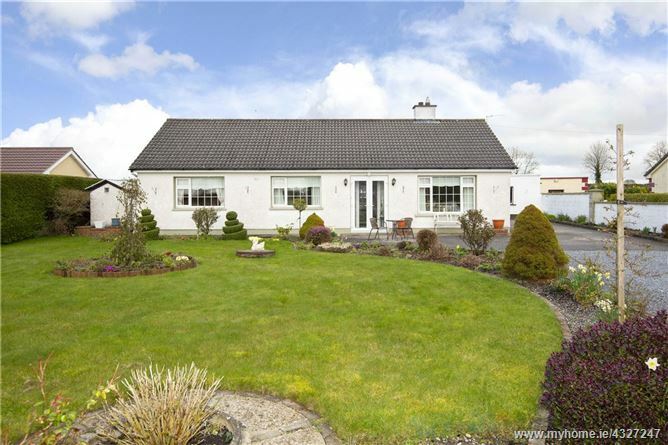 Outside does not disappoint either with well maintained front lawns with mature shrubs and flower beds and borders. 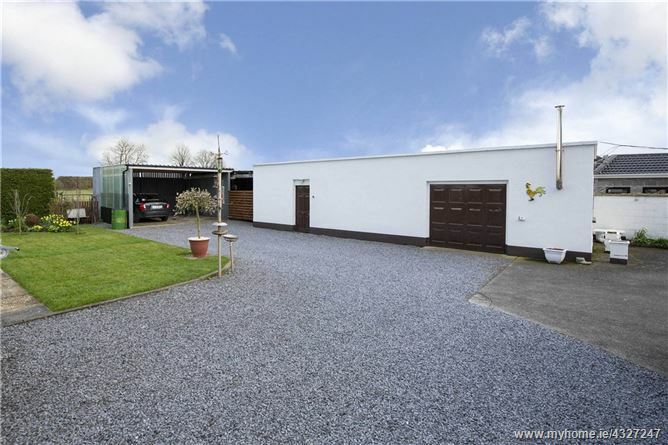 The driveway up right hand side of the residence leads to garage, tool shed, fuel shed and open-fronted drive-in shed. The well maintained lawns offer flower and shrub beds and borders. There are also raised vegetable beds, manicured evergreen hedges, wooden playhouse and paved patio area and brick-built BBQ. 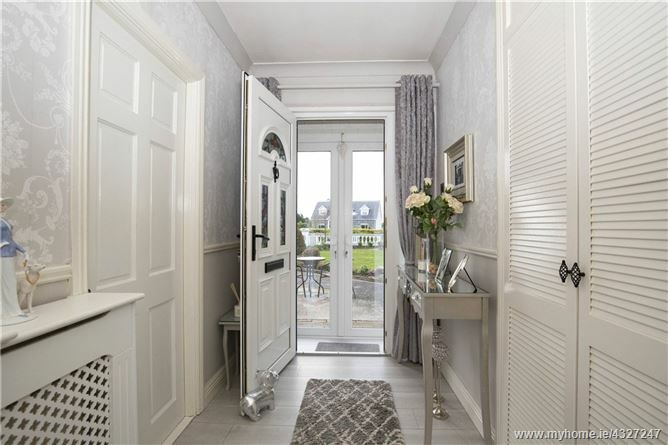 This property is a about a 10 minute walk along the tranquil Woodlane to the village of Kildalkey, with shop, Public house, take away, Creche, GAA Club, RC church and state of the art newly built primary school. Secondary schools are available at Trim and Athboy. 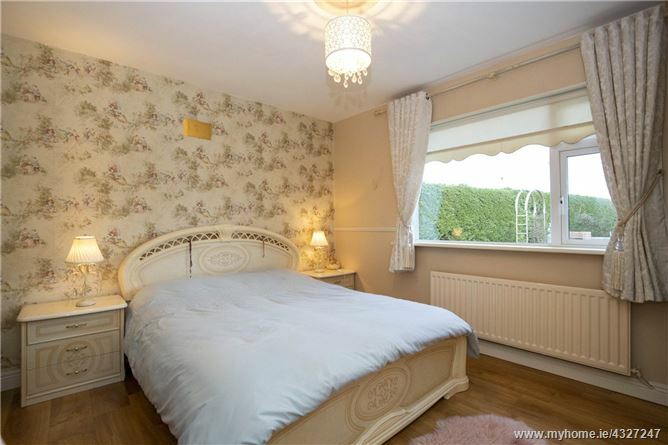 Viewing of this well maintained family home is highly recommended. Entrance Porch PVC double glazed French doors with grey laminate wooden flooring. Entrance Hall Radiator cover, built-in coat closet with dado rail. 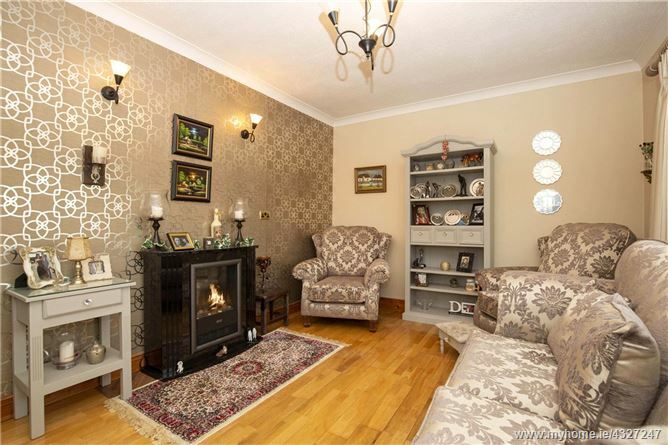 Sitting Room Oak wooden flooring, ceiling coving, Dimplex log effect electric fireplace. 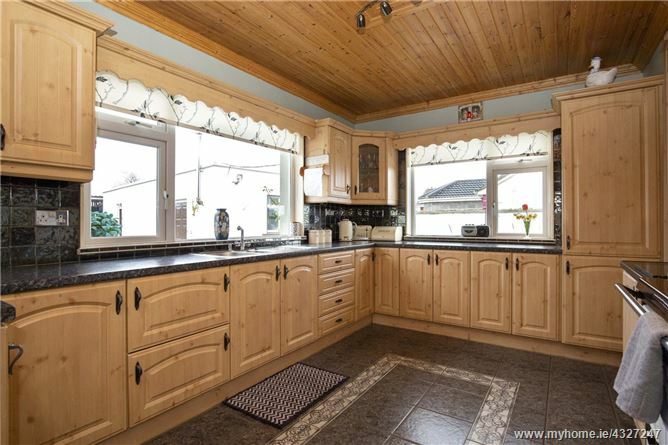 Kitchen/Living/Dining Room Range of floor and wall kitchen units with bowl and half sink unit, intergrated Zanussi fridge freezer, ceramic tiled floor, Stanley Comeragh solid fuel range cooker with back boiler to heat domestic water and radiators. Built-in dresser unit to match kitchen units, walnut laminate flooring on living/ dining area, wood panelled ceiling. 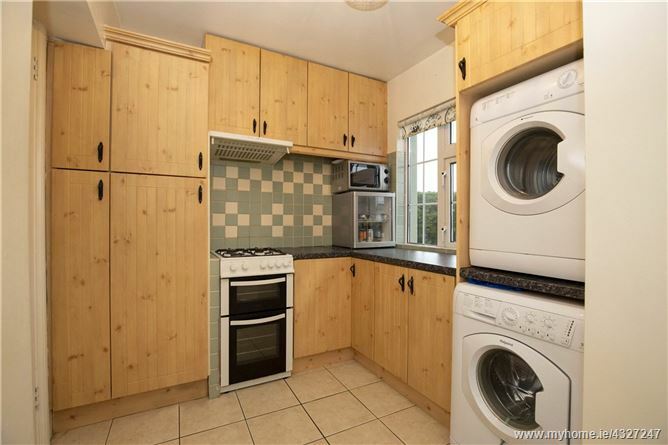 Utility Room Built-in wall and floor units, part tiled walls, tiled floor, fitted gas cooker, space and plumbing for washing machine and tumble dryer, tiled floor, doot to back yard with covered in porch. Guest Bathroom WC, wash hand basin, tiled over sink and tiled floor. 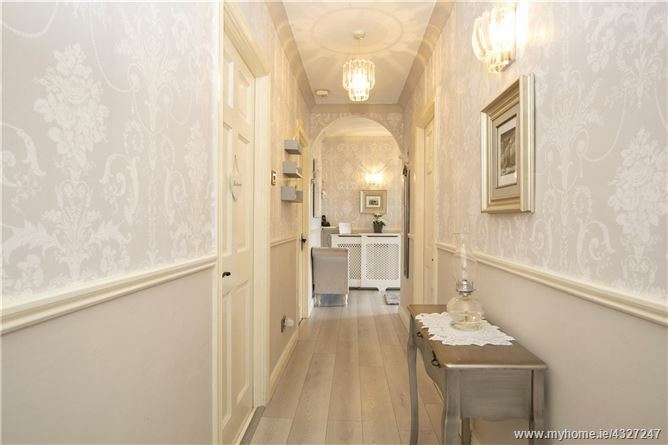 Inner Hall Grey laminate wood floor, dado rail. Bedroom 1 Laminate wood flooring, feature wall papered wall. 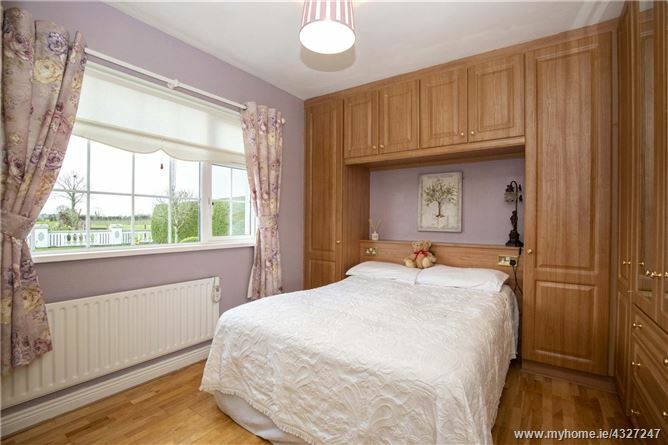 Bedroom 2 Range of wall to wall fitted wardrobes with central dressing table unit, laminate wood floor. Bedroom 3 Range of fitted wardrobes, carpeted floor. Bathroom Panelled bath with WC and wash hand basin, fitted shower unit, fully tiled with Triton T90XR electric shower, fully tiled walls and floors. Balustrade wall with capped piers and black wrought iron gates, gravelled and cemet driveway and parking, garden mainly laid to lawn with mature trees, shrubs, flower and beds. Block built pump house with water treatment system. Wooden side door to front garden, paved patio/ BBQ area with brick built BBQ. 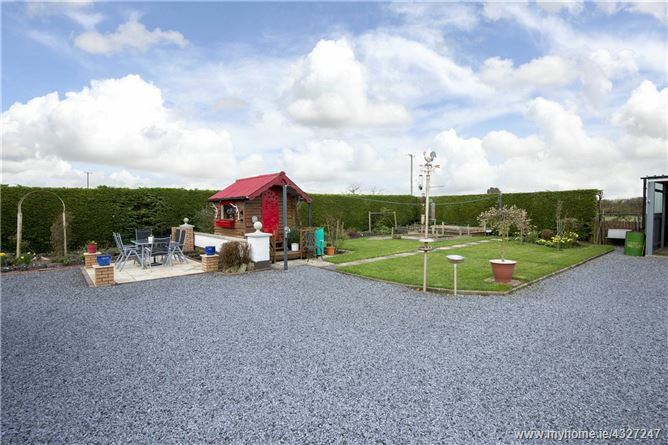 Flower bed, wooden playhouse, garden mainly laid to lawn with flower and shrub beds and well maintained ever green hedging, raised vegetable beds. Three sided drive-in galvanized car shelter with concrete base, ideal for BBQ’s and gatherings. Simple block built garage with up and over door, oil tank and oil fired boiler. Situated behind garage with concrete base (Block Built). - Oil fired central heatig and solid fuel heating. 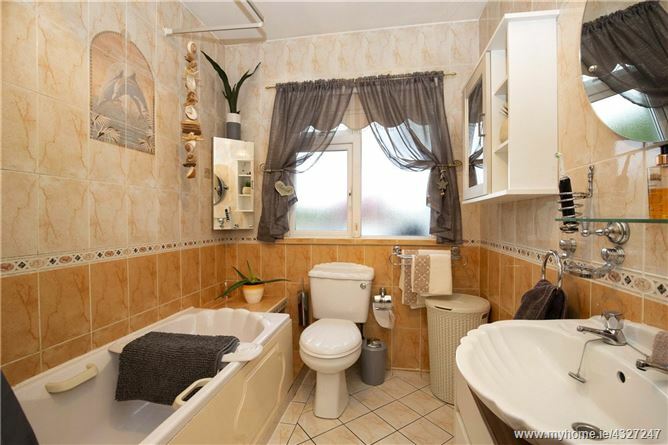 - Bathroom with bath unit and electric shower unit. - Good front and rear gardens. - Range of useful outbuildings including carport, fuelshed, tool shed and garage. - Paved patio area with brick built BBQ. 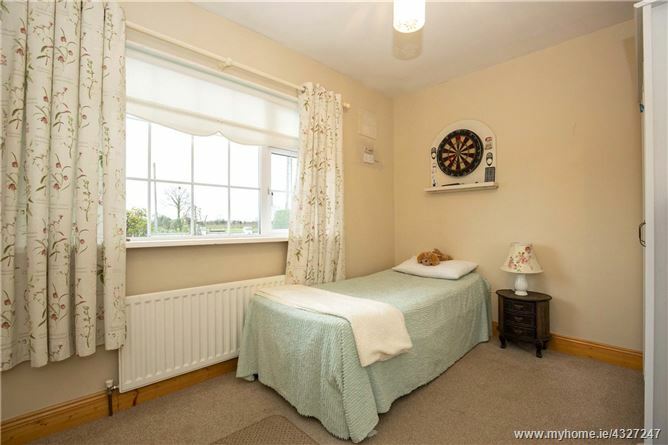 - All curtains and poles except those in sitting room. - Dimplex electric log effect firepace.